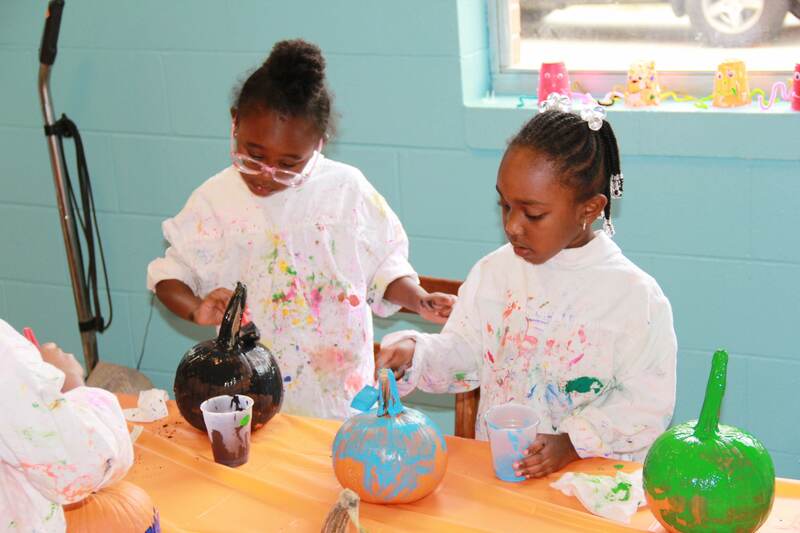 Our after-school enrichment program isn’t just running around outside—although our students get lots of outside time! 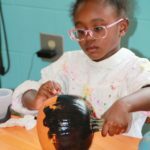 They also get a chance to try new experiences and activities together under the superivision of our enrichment teacher, Mrs. Johnson. 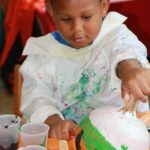 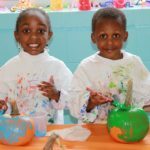 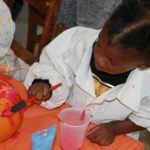 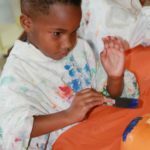 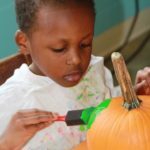 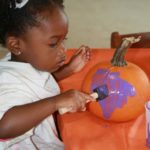 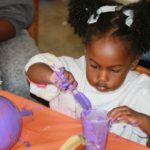 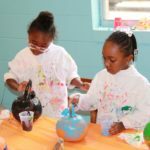 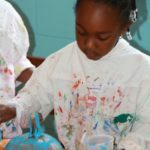 She came up with an ambitious project where one afternoon, our students chose from pumpkins that had been donated by a generous supporter and painted the pumpkin in whatever color they chose. 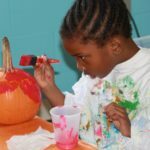 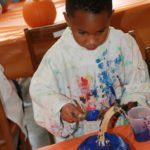 On the following afternoon, they got to decorate their pumpkins with more paint and even glitter! We enjoyed having their beautiful pumpkins to decorate the school after they were done.